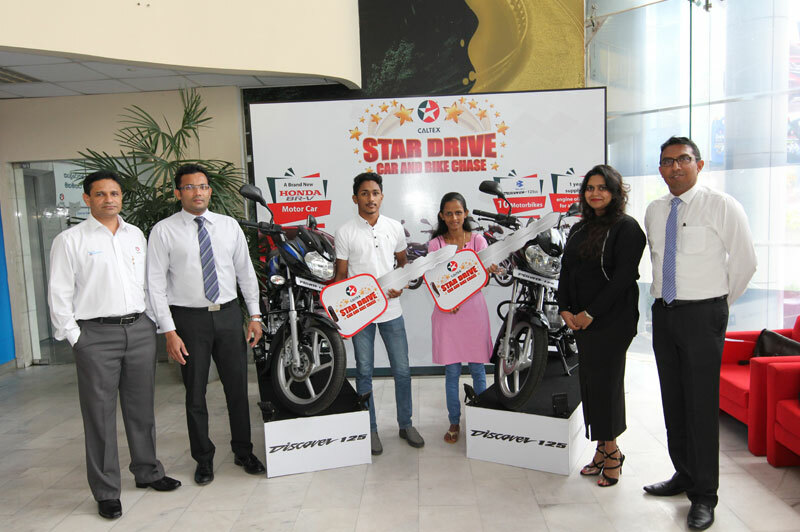 The fourth lucky duo of “Caltex Star Drive – Car and Bike Chase” awarded” | Welcome to Chevron Lubricant Lanka PLC. The fourth lucky set of “Caltex Star Drive – Car and Bike Chase” winners received their brandnew Bajaj Discover 125cc motorcycles plus a year’s worth of free engine oil at an event held at the Chevron House in Colombo 3, on the 2nd of August 2017. The lucky winners of the fourth round are G. G. Iresha Maduwanthi from Embilipitiya and V. P. Lakshitha Maduwantha from Walasmulla. before the 31st of August 2017.